"We out here in these St.Lucia streets. Friday night street party" - I'm *Singing "Gros Islet tonight! "* BTW .. that's my 'hood! LOL and this Zionomi music video comes to mind. "Time to have my first local meal. Ready to see wats this like. Never go wrong wit fish in the islands"
"Speaking to the kids ..... just sharing my story"
"Well St.Lucia thank you for the amazing weekend. 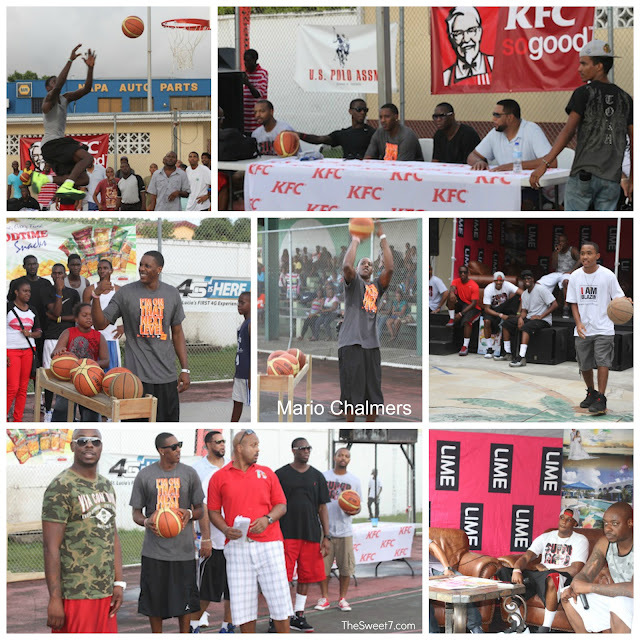 I had a blast"
On August 31, Mario took to the court at the KFC Basketball Camp joining St.Lucian kids and national players in warm-up, shoot outs and 3 point competitions. The NBA star assisted in the KFC Dunk Contest by throwing alley-hoops to the contestants. He grabbed the mic and shared his story with the younger kids. Mario encouraged them to work hard and never give up on their dreams. Chalmers reminded them that he was like them because he grew up in a small town, not recognized for athletes but his discipline and hard work enabled him to be in the position he is today. Mario signed autographs and pictures with local fans. The KFC Basketball Camp can be viewed on NBA Cares and Miami Heat TV. 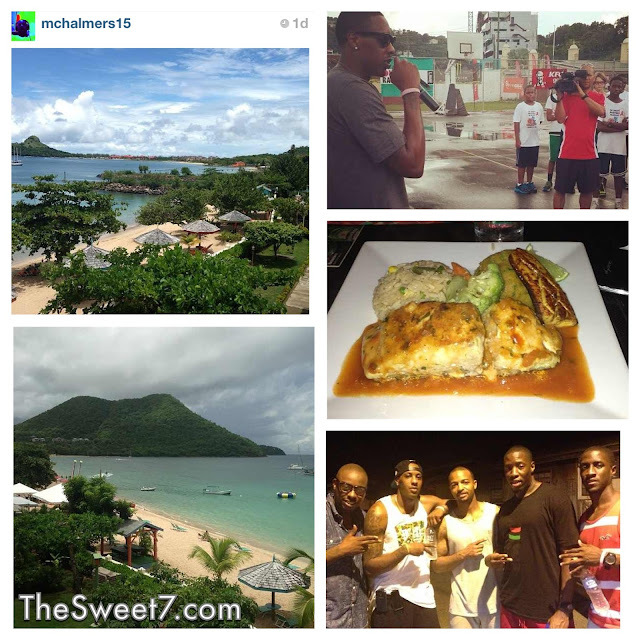 During Chalmers' weekend visit to the island, he walked along the streets of Rodney Bay with friends, hung out with locals and took more pictures with his fans. Chalmers dined at various area restaurants and also grabbed a bite from street vendors. The NBA star also bought groceries and walked back to his hotel with his grocery bags. Mario enjoyed beautiful Reduit Beach, located right outside the Bay Gardens Beach Resort, tweeting thank you to the management & staff and said he’ll be back, asking his followers to retweet. "Mario Chalmers' easy going and humble personality almost made you forget how relevant he is in the sporting world and the wealth he has accumulated because of his skills" admits Dwayne Mendes. Mario recently bought grammy award winning rapper Drake's condo in Miami, Florida for a reported 2.6 million US dollars, spending close to another half a million renovating it. Dwayne Mendes says Mario Chalmers expressed his appreciation for a great weekend in Saint Lucia. Dwayne said that the exposure St. Lucia has gotten from Mario's visit is priceless. Mr.Mendes is encouraging Mr. Chalmers to invest in the island, and its talent. Mr.Mendes says the Mario has a new business venture that will soon be made public. Dwayne hopes St. Lucia will be able to benefit from it.